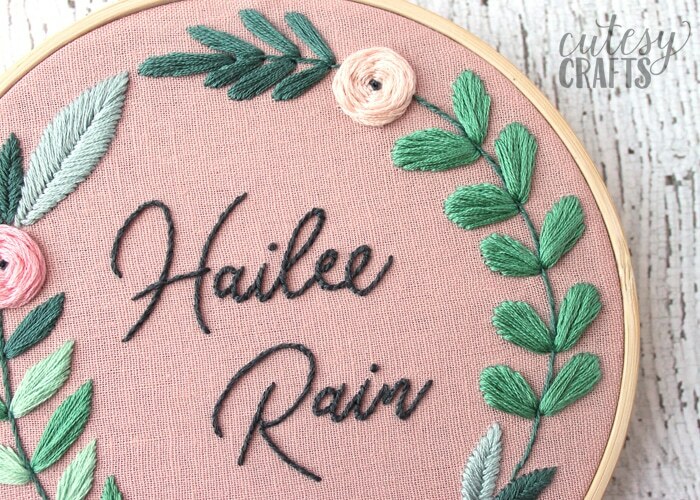 A name embroidery hoop makes an adorable DIY baby gift, so I decided to design a pattern for one. I made sure to use lots of pink, flowers, and a curly font. 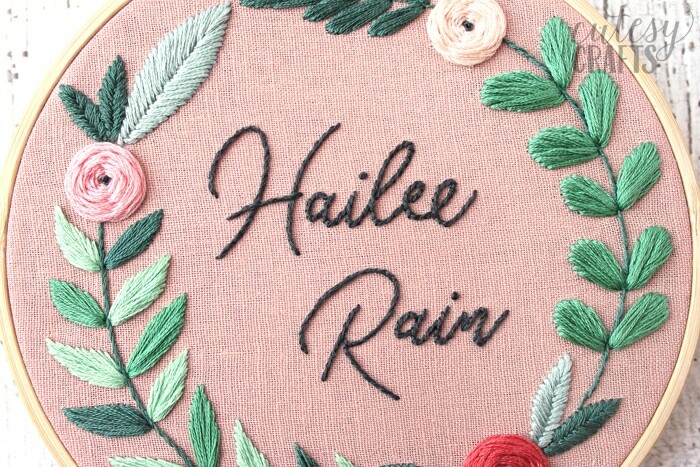 A nice and girly floral embroidery pattern! My friend just got a new niece, so I made this for her. Isn’t her name cute?! 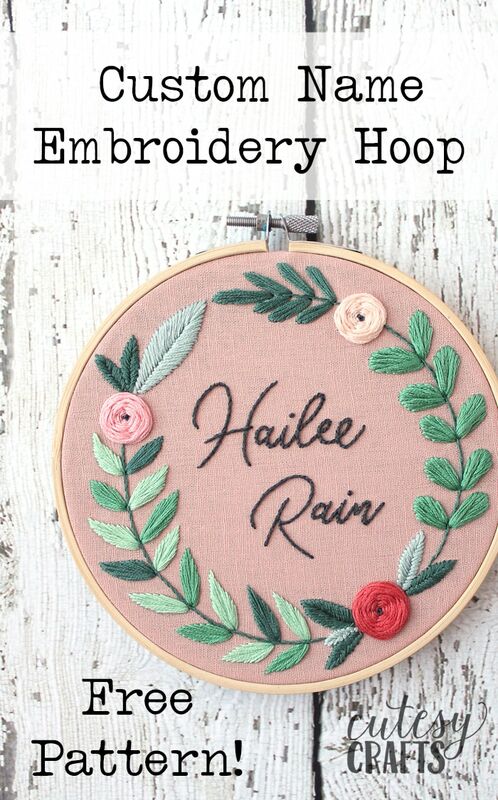 If you decide to make this hoop, make sure to scroll all the way to the bottom because I also have a step-by-step video stitch-along for this pattern. I created this pattern as part of a sponsored post for FontBundles.net. The font that you see is from The Fantastic Font Bundle II. The font is called Herschel Script. It’s a beautiful font, and the more I play around with it, the more I love it! I really like how the font changed itself when I typed the double “e” at the end. Since this is a monoline font, it’s really easy to stitch too. I’ll show you how to customize the font so you can put another name or phrase on the hoop. It’s really easy! 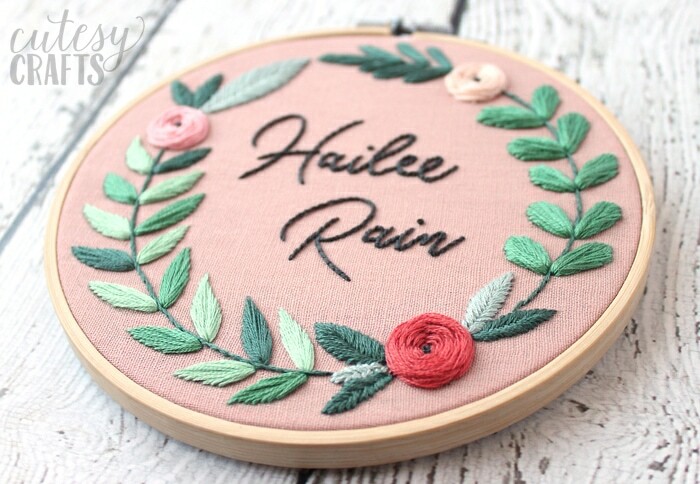 The pretty flowers are made with a woven wheel stitch, just like the ones on my popular Bloom Hand Embroidery Pattern. They look complicated, but they are actually pretty easy. 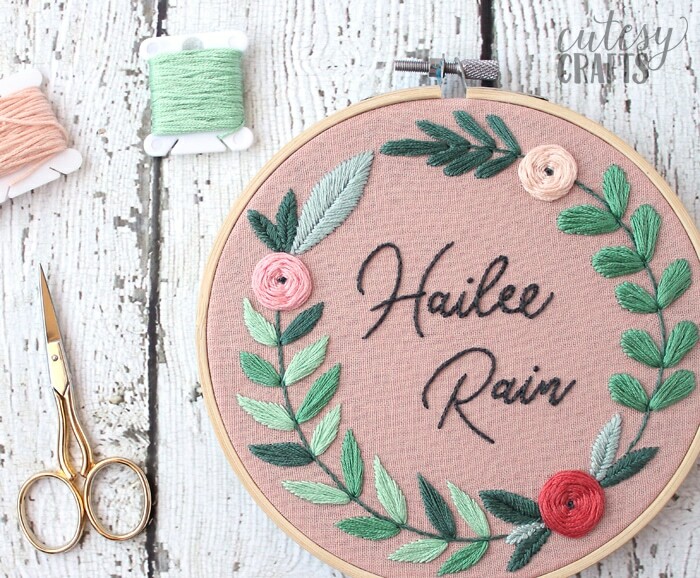 Take a look at my embroidery stitches guide for videos that will show you every stitch you need. 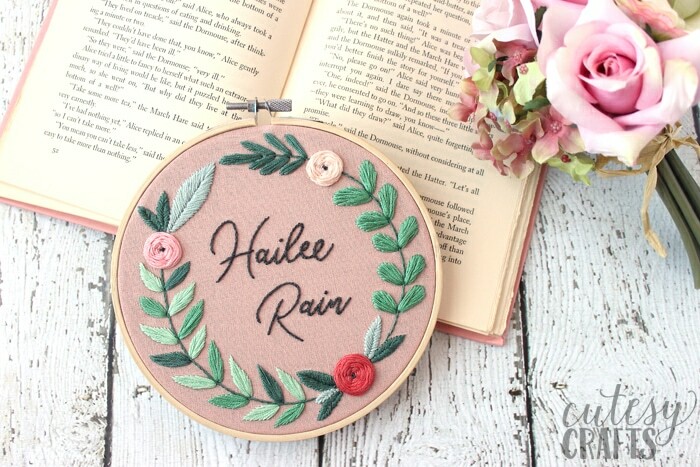 The leaves are all done in a satin stitch or fishbone stitch. These can be a little more advanced stitches, so if you are a beginner, feel free to just outline them. To customize the name on the hoop, first make sure you have downloaded and installed the Herschel Script font, which is part of The Fantastic Font Bundle II. 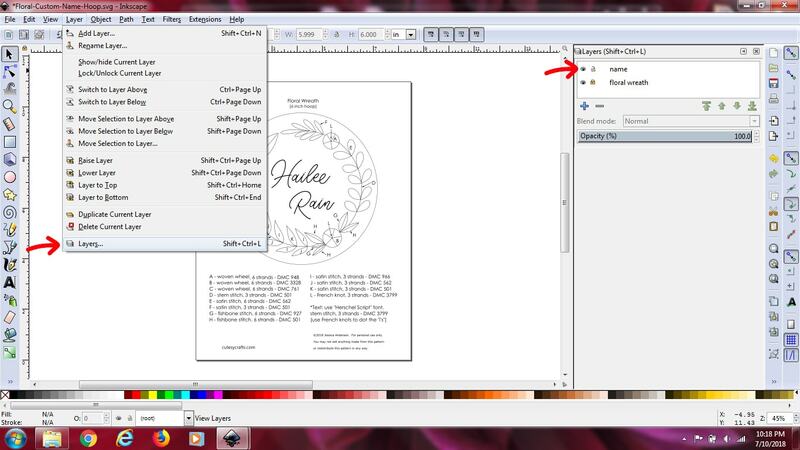 Instructions to install the fonts are included on FontBundles.net. You will also need to download a free program called Inkscape. 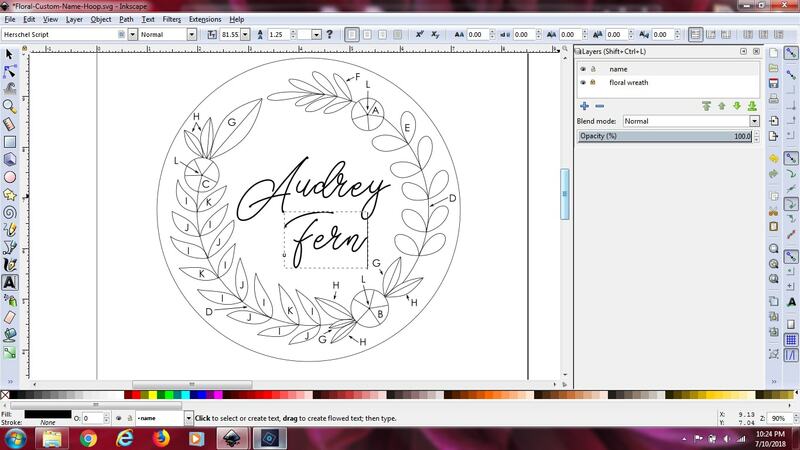 Open the free pattern file I provided in Inkscape. Choose “Layers” in the menu bar and click “Layers” at the bottom. This will bring up a toolbar on the right. The “name” layer should be chosen already, but if it isn’t, click it. Double click the text, and you’ll be able to edit it. After editing, you’ll probably need to move the words around to account for the different name lengths. Click black arrow on the top left of the screen, click the words once to select them, and then click and drag to move them around. 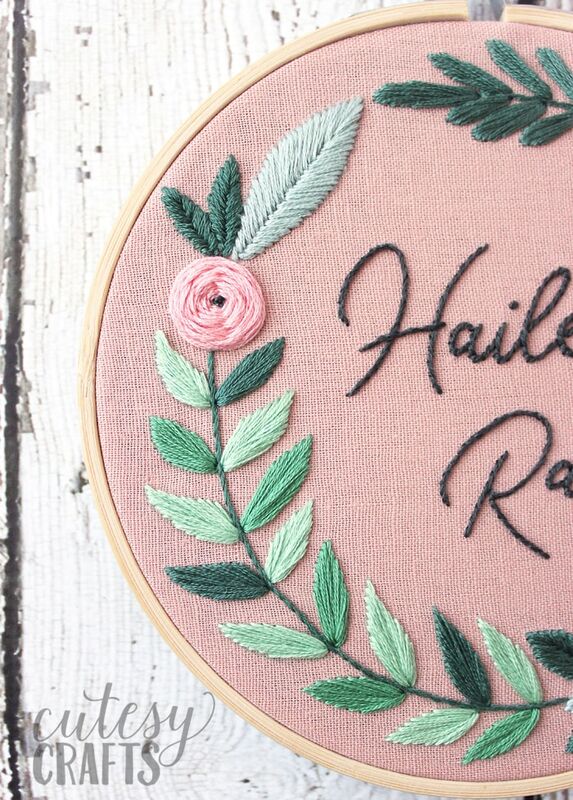 Once you’ve got the name where you want it, print out your file and stitch away! You can even add the date of birth if you’re making this for a baby. Wouldn’t that be sweet?! Just in case you don’t feel like doing it this way, I also provided a PDF of just the wreath to download. You should be able to print it separately, type the Herschel Script font in a word document, and add it that way. The font size I used was 82. See the video stitch along! Head over to my YouTube channel to see a step-by-step video stitch along. Start by watching the first video below. How do you transfer the print to the cloth? 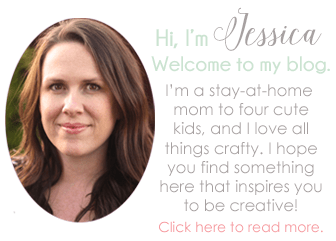 First visit to your blog via Swoodson Says, & THIS post is SEW cute!! I’m going to have a peek around so please don’t let me interrupt!! 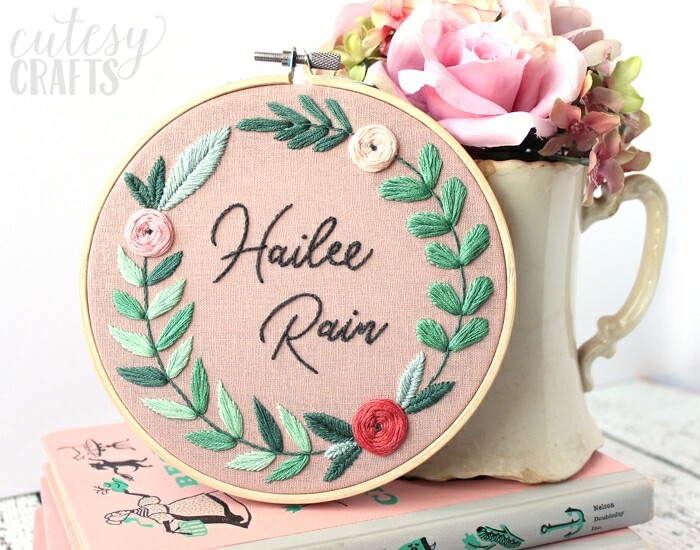 Oh, and Thank You Sew Much for the free pattern & tutorial as well as your Stunning photos!!! The file is not coming up when I open Inkscape. There is no ‘name” file. How can I fix that? Inkscape can be funny sometimes. Try right clicking the file itself. Choose “open with” and then find Inkscape. See if that works.